Patron Mission: Where was that Lincoln School at? Today one of the Museum’s visiting patrons was on a mission: he wanted to prove the existence and location of Lincoln School in Goodland to a friend. As Lincoln School has a fascinating history of use in Sherman County, we’d like to share the fruits of his mission with you. PM276SCH | HPM. An early photo of Lincoln School located on Sherman Street between 8th and 9th Streets, circa 1918. 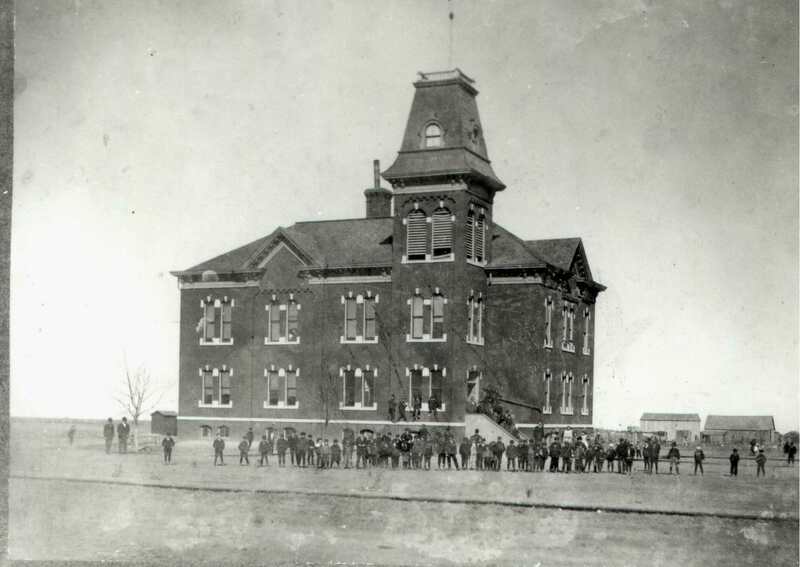 Lincoln School has the distinction of being one of the many schools built during Sherman County’s school building boom in the 1890s-1900s. Lincoln School was built between 8th and 9th and Sherman and Center streets in 1892 for $12,000 and had accommodations for 320 students. Lincoln School was used for all grades and as a transition school–many different grades had temporary classes there while other schools were being built. At Lincoln, six teachers made up the teaching staff. In the 1930s Lincoln was used for high school vocational agriculture classes. Later it was used for a “flop house”–transient lodging with one day of free meals and lodging provided. PM026SCH | HPM. The first Central School Building. Classes at Lincoln were moved to the new school at 12th and Main called Central School. This school was built at a cost of $20,000 with the first floor reserved for lower grades and the second floor for high school. 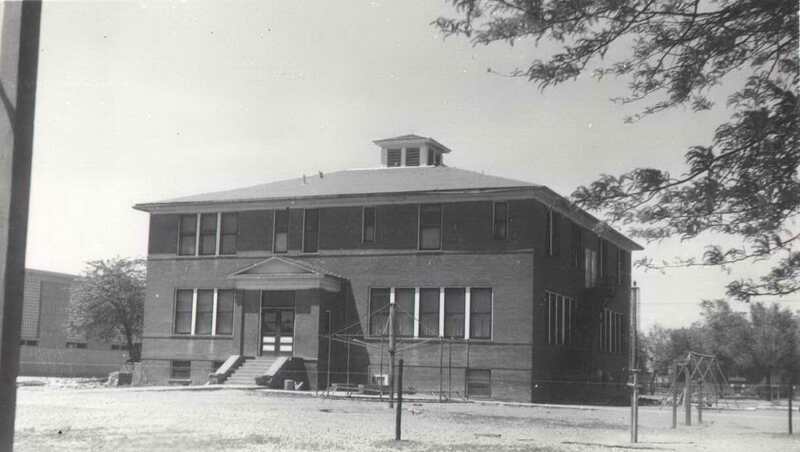 The first Central School was torn down in the 1950s and was replaced by the current Central School which is the site for 3rd-5th grades. Education Architecture has taken many forms in Sherman County; from the one-room school houses that dotted our County (like the Daise School House on display next to the High Plains Museum), to the consolidated schools in Goodland–Lincoln, Grant, Central, the Goodland High School (formerly known as the Sherman Community High School). As progress and population demanded suitable education facilities, the community came together to provide the necessary support. Take a look around our community and you’ll see many gorgeous school buildings along with school buildings re-purposed as homes or even sitting vacant. A sign of changing population and education demands, it is certainly an interesting evolution of rural life. To find out more about the schools in Goodland and Sherman County check out the Sherman County Historical Society’s History Volumes available for sale at the Ennis-Handy House and the Museum, as well as available for perusal at the Goodland Public Library.